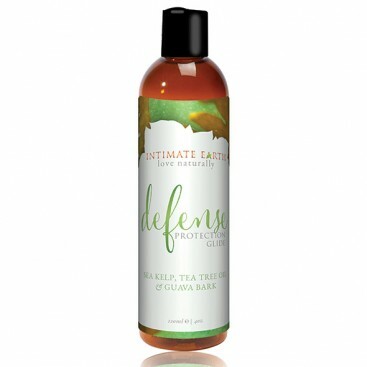 The Defense Protection Glide and Lubricant by Intimate Earth is an exciting breakthrough in lubricants. Containing strong anti-yeast and HPV protection agents such as Caarrageean (sea kelp) and Guava bark anti-bacterial extract, this lubricant inhibits the infectious ability of viruses that cause cervical cancer and genital warts and assist in preventing yeast infections. 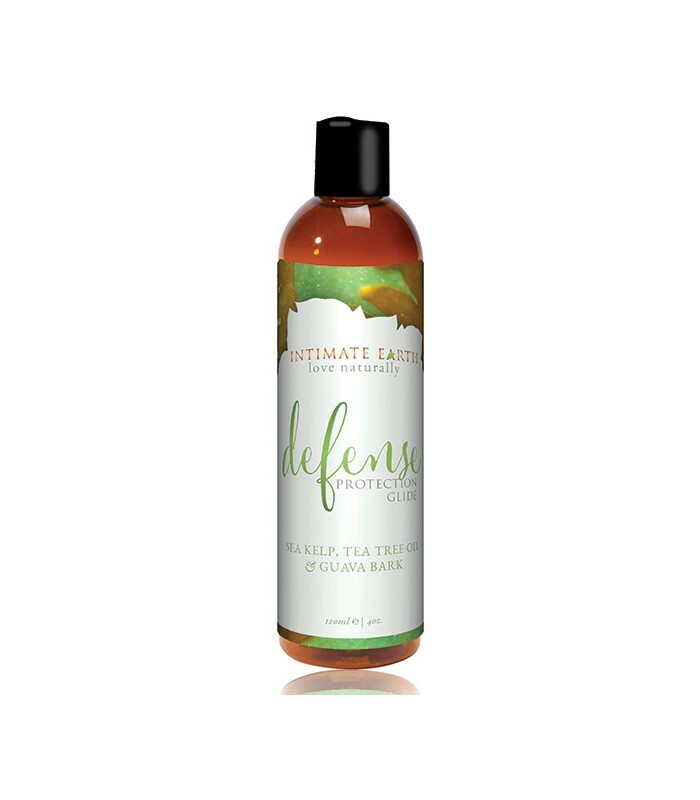 With it's water-based formula, this lubricant is glycerin and paraben free and perfect for vegans. With it's protective anti-bacterial ingredients and silky smooth consistency, not only does this lubricant inhibit the disruption of healthy microflora, but it also blends naturally with a woman's natural body fluids. Perfect for those that experience vaginal discomfort and those prone to vaginal and yeast infections.